Have You Seen this Strawberry? 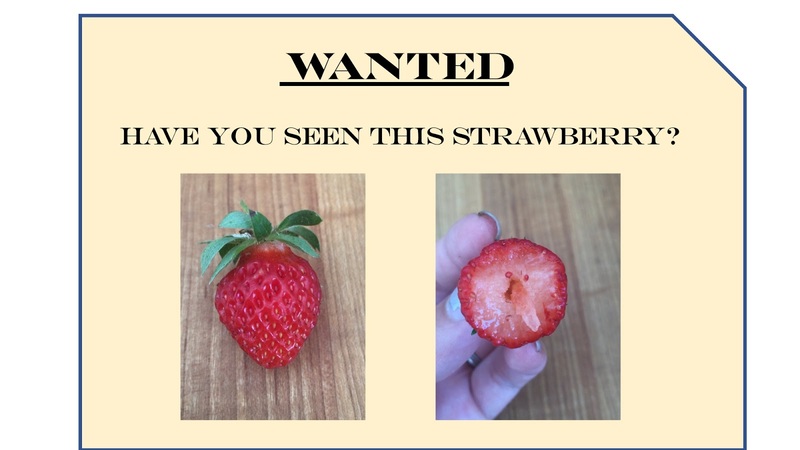 Can you identify this strawberry? Many of the strawberries in our patch are cuttings from other people's gardens. Since we didn't buy them originally, and they're all mixed together anyway, we don't know what variety they are. Well, we ADORE this one particular type of strawberry that is thriving in one corner of our patch. We want to get more, so we need to identify them. Can you help? Description: Small berry. June-bearing. Distinctive "hip" shape at the top. Pure snow-white inside. Highly flavorful and extra sweet! Spring is springing, the blooms are blooming, the greens are greening, the peas are... well, nevermind. June in the PNW is often referred to (somewhat fondly, but mostly with thinly-masked annoyance) as "Junuary". After months of short days, gray skies, and cool weather, we feel that we've earned the summer that is surely, surely just about to dawn. Late May and early June tease sunset times approaching 9pm and our first tastes of warmth. Then June hits its stride... and it's horrible. One day the cold damp of the worst days of winter drips on us relentlessly. The next day, it's unexpectedly 83 degrees and everybody melts. Every once in a while, we experience one of those moderate summer days so sublime that we all remember why we live here - which then casts us into the deep emotional pit of knowing we have to wait a month for another one. So you might understand my mixed feelings about the fact that this year, June has been stunning. Gorgeous. Gardening weather almost since Day One. I mean obviously, I love it. The garden is exploding, we build a new area for sitting and campfires (more on that in a future post), and we're spending every second outside. On the other hand, I have to assume this is a sign of the coming climate change apocalypse. As long as we're all going to roast ourselves alive, slowly but inexorably marching towards a complete collapse of all human civilization that definitely could have been avoided if we'd paid half as much to science as to reality TV, at least I'm going to have a nice garden for a few years first. 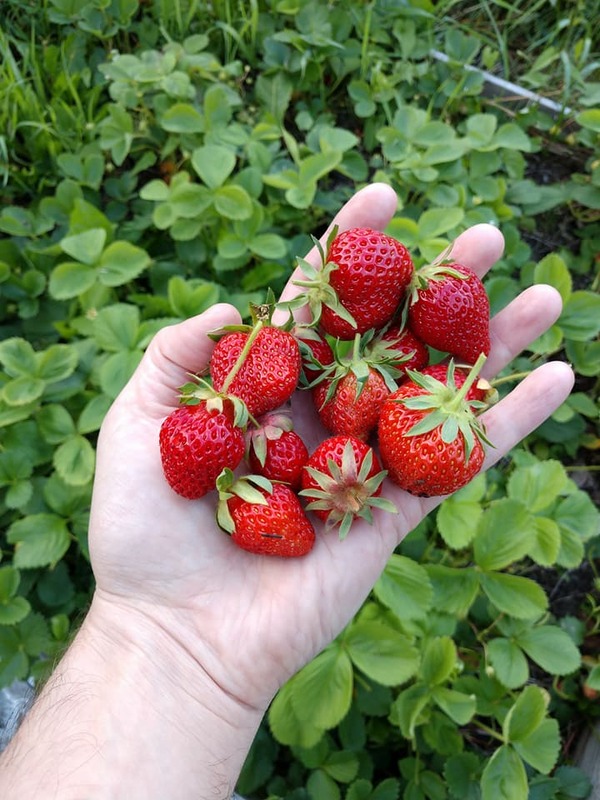 A strawberry in the hand .... and a whole lot more soon to be in our hands. The lavender is easily twice as big as last year already. Does anyone have suggestions for what to do with radishes? I planted SO MANY RADISHES. So far, I've roasted, pickled, sliced in salads, made coleslaw... and the bed is still 3/4 full.